Whether or not there’s a royal wedding, the season-seven finale of Game Of Thrones is going to draw huge ratings (outages are probably coming, so brace yourselves). Even people who haven’t been following along this whole time and therefore don’t see why the handsome brooding guy can’t get with the beautiful dragon whisperer will probably tune in on Sunday to learn the meaning behind “The Dragon And The Wolf.” Oddly, the one person who’s definitely going to miss out on the excitement and ravens is the guy behind all of it. Apparently, George R.R. Martin hasn’t been keeping up with the show, and will therefore not be in attendance of what looks to be the latest knotting of Targaryen family ties. 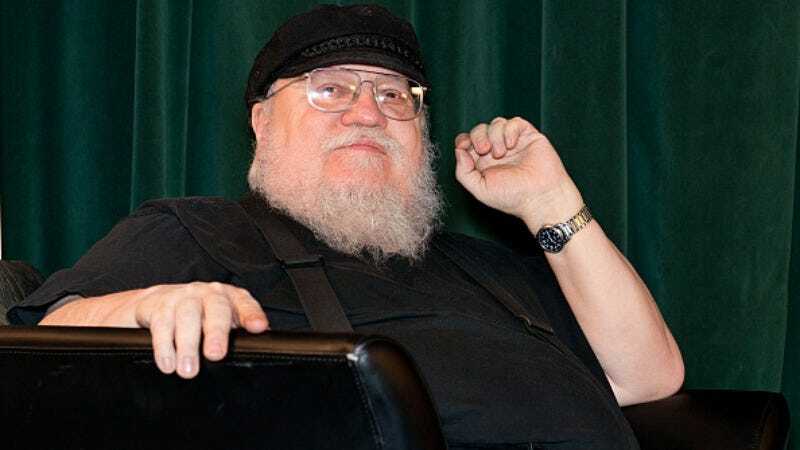 Martin did make time to answer a few more questions for Metro, including whether he ever takes suggestions from fans (he doesn’t) and if there’s any connection between Westerosi politics and their real-life counterpart (there isn’t). He also says he resembles Samwell Tarly the most, and given how much time Sam’s spent scribbling things into journals this season, we kind of see it, too.